Rather than snack on a sweet, eat it with a meal. 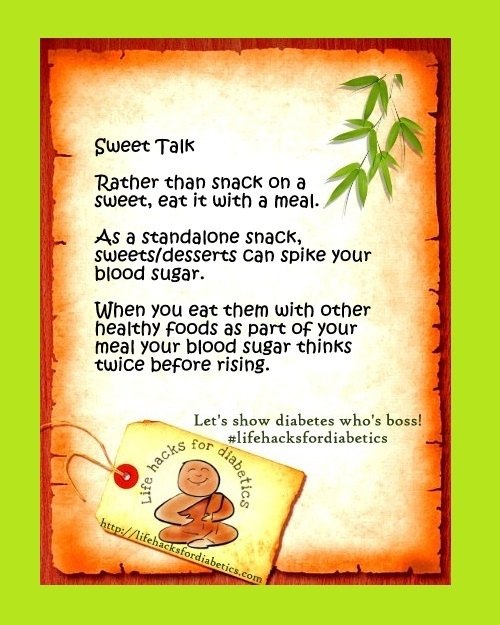 As a standalone snack, sweets/desserts can spike your blood sugar and that’s not what you want! When you eat them with other healthy foods as part of your meal your blood sugar thinks twice before rising. So have your dessert and eat it too!